It was a great privilege for Nicki and Lois to visit to Australia and New Zealand and share our experience of Talking Mats with such a fantastic group of interested people. We learned a lot about the opportunities and challenges their work settings present. 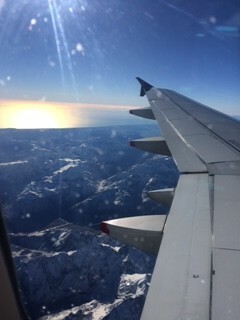 Our first blog focuses on Australia and the second on New Zealand. We had just over two weeks in Australia. During that time we attended and presented at the Agosci conference – a great gathering of practitioners from all over Australia and further afield who are focused in improving practice in Alternative and Augmentative communication. There was a lot of interest in Talking Mats – our stall was busy and our preconference workshop full. A key driver for the interest was the implementation of the National Disability Insurance Scheme (NDIS) which is changing the way the individual packages of care are being administered with the need to establish what is important to the person and their life goals. 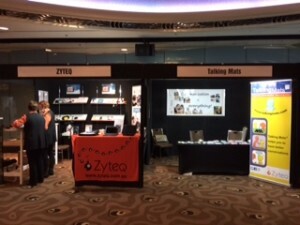 Talking Mats is recognised as a great tool to help that happen and although there did not appear to be any NDIS planners at the conference we are hopeful with the buzz that was created the message will get out. 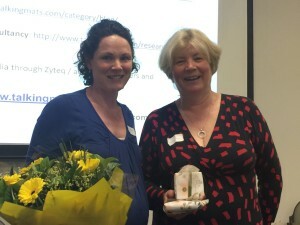 It was interesting for us to see that at Agosci there was no mention of the role augmentative and alternative communication could play in terms of supporting communication with people with dementia. It is true that in the UK equivalent conference ‘Communication Matters’, the use of AAC in dementia is not the strongest theme but you will still find discussion and papers about it. It felt to us the world of AAC and dementia was still very separate in Australia and closing that gap could provide an enhanced quality of life for people with dementia. 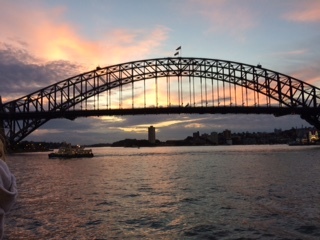 We appreciated being invited to deliver training for Hammond Care in Sydney. 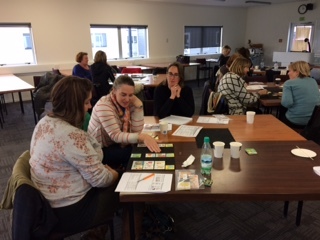 They were an experienced group of practitioners and we had interesting discussions about using Talking Mats in their work with people with dementia. We are excited too that one of our new Australian accredited trainer, Lyn Philipson will be using Talking Mats in her research with people with dementia. Our new ‘Keeping Safe’ resource sparked a great deal of interest. Naomi Rezzani of Scope Australia organised a seminar which Lois was invited to speak at. It was good to hear about the local initiatives in the state of Victoria to support people with learning disabilities who have experienced or are at risk of abuse . The presentations discussed the role of advocacy, therapeutic support, education about rights, the Scope ‘Speaking Out’ resources that support communication. The countries may be different but themes are similar. At the end of our stay we held an accredited training course and are delighted that 9 Australians and and 3 New Zealanders can now provide training in their respective organisations. It was of course not all work. We loved seeing for real the iconic images of Sydney opera house the harbour bridge , bronzed bodies surfing in the sea , Melbourne with its myriad of art deco buildings , graffiti street art and the cute wee St Kilda fairy penguins. So lots of happy memoires and hopes we will be back. This entry was posted in Blog on June 16, 2017 by Lois Cameron. Fab Talking Mats film: involvement in action! This is a fabulous film that really shows Talking Mats in action and how it supports and promotes involvement on so many levels. 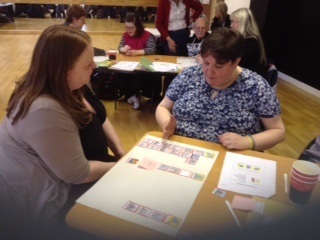 Talking Mats and the National Involvement Network (NIN) have been working together for the past year to enable the NIN members to develop a Talking Mat and to use that Mat to listen to the experiences of people with learning disabilities . It has been a great project and we wrote up the experience of running the training in two earlier blogs. This entry was posted in Learning disability, Participation, Training and tagged Learning Disability, Participation, Training on June 9, 2017 by Lois Cameron.